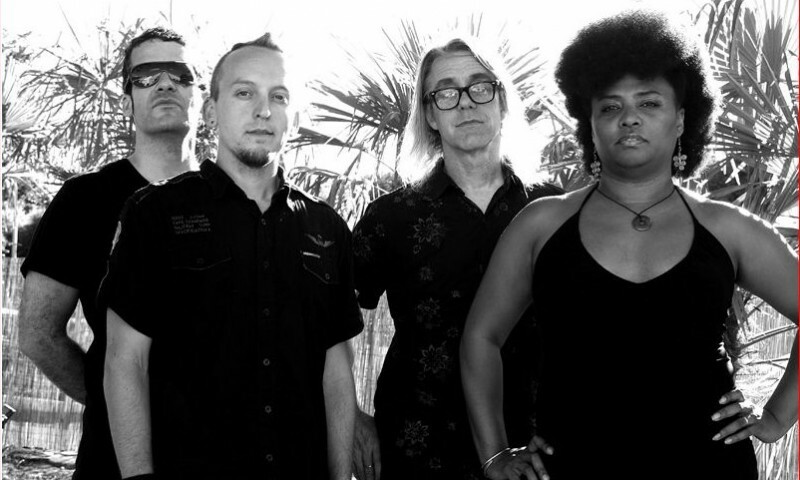 When talked about in larger publications The BellRays usually get lumped in with the so-called “garage rock revival.” Not only have The BellRays been playing their patented brand of maximum rock n’ soul for much longer than that stupid tag has been floating around, but there is so much going on in their sound that that tag is superfluous. Not all of your run-of-the-mill “neo-garage” bands have guitarists that play guitar the way Miles Davis plays trumpet. Nor do they have singers who are able to belt out honest, gospel-inflected shouts over their band’s loud rhythmic pulse. 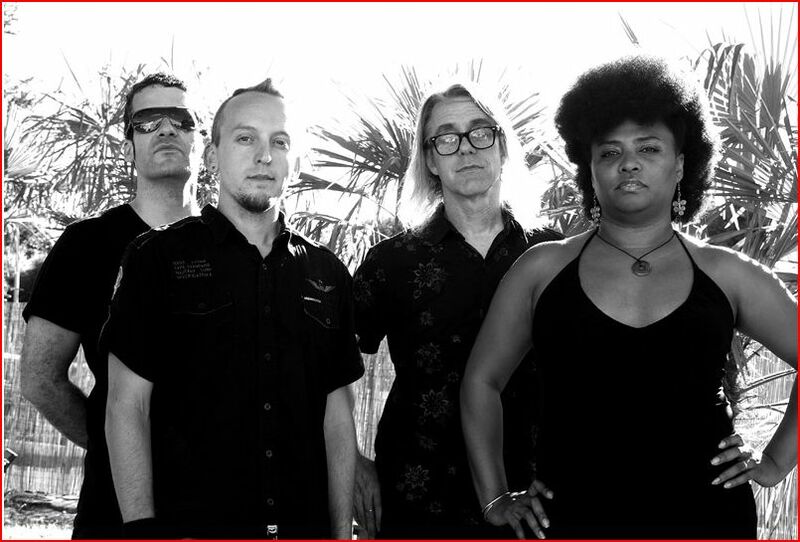 I sat down with the bass-player for this dynamic, California-based band, Bob Vennum, to discuss, among other things, the general lack of understanding for The Bellrays’ sound amongst most mainstream journalists. Other members are drummer Eric Allgood, guitarist Tony Fate and singer Lisa Kekaula, who is currently on tour in Europe with the MC5. [The Bellrays] SLUG: How did The BellRays come into existence? BV: Lisa and I had another band that we’d been doing down here and it broke up and we wanted to do something that wasn’t like that one. We started doing this and I was playing guitar at the time. We found a bass player and a drummer and just started gigging around. SLUG: Once Tony came into the picture, your sound shifted a bit. Was that kind of a natural progression with him or was it decided? BV: Tony and I have known each other for a long, long time. He had a band called The Grey Spikes and I would play bass for them when they needed it. We couldn’t find a bass player that we wanted and then Tony was having problems with his band so we just said, “Let’s do this.” He had a recording that he had to get done for The Grey Spikes for some compilation, the “Nights In Venice” tune. He said, “Let’s record it and we’ll put it out as The Grey Spikes.” We played it a couple times and we said, “This just sounds too good.” I started playing bass and we kicked our bass player out. SLUG: That was The Saints cover, right? SLUG: How did you guys end up hooking up with Alternative Tentacles? BV: They’ve been fans for a long time. Tony knew Jello, not personally, but had corresponded with him for years before he was in The BellRays. They kind of kept in touch. Then when we started playing out as The BellRays, we finally got to meet Jello. He comes out to all the shows in San Francisco and he’d wanted to put out a record for the longest time and this one was the first one where we’ve been able to hook up. SLUG: Which was kind of weird: The new one was out for, what, a full year before it was available domestically, right? So what happened with that? BV: We recorded a while ago and we were licensing stuff to a label in Europe called Pop Tones/Telstar. So we released it through them for everywhere but North America. SLUG: Which is weird because you’re a North American band. BV: Yeah, but we recorded it and we had toured and sold it out of the van. We couldn’t find anybody to put it out here, at least at the level that we wanted to. We wanted to get decent distribution and some kind of publicity and stuff behind it and we couldn’t find anybody to do it. So, we put it out through Pop Tones/Telstar to see what would happen with it and Telstar ended up going out of business within months. The whole thing just kind of reverted back. So when we got back, we just said, how about Alternative Tentacles? SLUG: I’ve been reading this book recently called The Trouble with Music by Mat Callahan. He delves into the subject of “anti-music” and pop stars who are completely soulless and manufactured and how there’s a lack of soul in music today. It seems like you guys are the complete opposite. What’s your take on “anti-music” or pop music? And how would you go about defining soul? BV: Pop music, if you look at it-Martha Reeves & the Vandellas and The Shirelles- those were all manufactured pop bands. They didn’t write their songs. They were hired to go record them and sing them out live. There was a core of people who were responsible for that. So Britney Spears and those kinds of people to me are completely capable of putting out a good record,it’s more the machine and how obtrusive the machine is. If you just let them go out and sing their songs and do their records, that’s fine. I happen to like pop music. Some of it. There’s obviously lots of crap. But that goes for rock music and everything. The world is full of the crap and is full of the good stuff. Soul to me is anything that’s honest. It’s not really trying to be anything other than it is. If all it’s trying to be is a catchy pop song, well then, that’s got soul. If it’s a bluegrass banjo and acoustic guitar and they’re just doing their thing, to me, that’s soul music. Beethoven’s soul music. SLUG: It seems to me that Tom Waits or, referring back to The Saints, have just as much soul as Otis Redding or Wilson Pickett. BV: Yeah. And a lot of the misconceptions about what people do is they try to color-fy it and colorize it and say, “Black music is soul music” and it’s not because the stuff that people associate with black soul music, probably 60 to70 percent of it, was written by white people. You know, Leeber & Stoller were white guys. You’ve gotta really get around that and just be aware that soul music was a marketing gimmick. It just caught on, like rock n’ roll. SLUG: It’s as if rock n’ roll has taken a complete reverse or a step back. When it started out, it was blues-based, so obviously there was a heavy amount of black musicians playing what appeared to be rock n’ roll. You know, Chuck Berry and Bo Diddley could be considered proto rock n’ roll. But something seems to have happened where it is now a predominantly white male sport. SLUG: They were both theatrical. BV: Yeah. Somehow one became for white people and one became for black people and I don’t understand it. Again, I think it’s more of a marketing thing. The record companies of the day just kind of figured, “This is the way we’re going to sell this,” or “We can sell X amount by doing it this way,” and it just became that. SLUG: The 70s seemed to be the large turning point where everything started to veer off and separate even more than it had prior, that’s when disco and rock music became completely separate. Whereas before, with R&B and rock n’ roll, there were a lot of similarities. And then within the ’70s, rock n’ roll became rock music and had the amalgam and so it became uncool for white people to listen to black music; kind of reverting back to before the ’60s even. SLUG: And it seems you guys have received some very mixed reviews for that. You’ve gotten some flak from Gilman St. for being too bluesy to play a punk venue. And you’ve also received mad props for bringing jazz and soul and punk and blues all together. How do you deal with such strongly mixed reviews? BV: I think I’m probably the only one in the band who really reads a lot of the press. Lisa and Tony just stopped. They used to but it became a source of contention. I think I’m the only one who can just read it and kind of laugh or whatever, and I can kind of filter through the people who understand what we’re doing. But it’s not like we’re operating on some high plain or anything. But they either understand what we’re doing or they don’t; they either like what we’re doing or they don’t, or any combination of those four things. That’s typically how I filter through them. I take exception when people aren’t correct about things. BV: Well, it’s kind of obvious when some people don’t listen to it. They looked at the album cover and they said, “Oh, look at that, an Oriental drummer and a black singer, these guys must be some kind of World Beat/Tracy Chapman-meets-Yo-Yo Ma, or something. And they come up with these insane things just because they’ve looked at it or they happen to hear part of one song. And that’s what gets to me, but everybody’s entitled to their opinion. I really don’t care. Even if somebody says we’re awful, I still say, go see the show and make up your own mind. If somebody tells you we’re great, go make up your own mind, don’t take somebody else’s word for it. With that, I thank Bob and company. Be sure to catch The BellRays when they storm through the City of Salt April 2 at Ego’s and check out their latest album, The Red, White & Black, on Alternative Tentacles.